Online Training – We run a free monthly online training course. It’s not intended to replace club training, but can be offered as a revision tool to your existing students, of those who can’t attend courses. 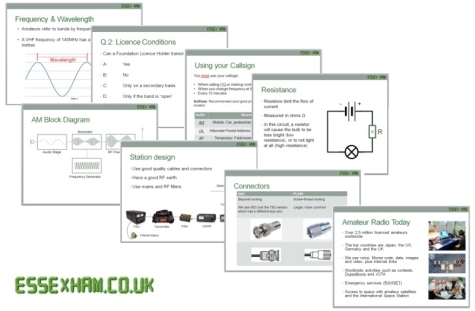 We’ve produced a series of slides that can be used for UK Amateur Radio Foundation Training courses. 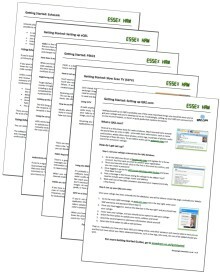 Nine sets of slides are available, covering an introduction to amateur radio, technical basics, transmitters & receivers, feeders & antennas, propagation, licence conditions, EMC, safety and operating practice. See our Foundation Training Slides page for the full slideset. The slides are kept up-to-date regularly, are free to UK clubs and trainers, and have generic “Ham Train” branding. Suggestions for updates and improvements are welcomed. Launched in 2015, over 400 students registered for our free online course in the first year, and we’ve seen excellent results. The courses are free, and students can study at their own pace in the comfort of their home. The course is delivered used a Virtual Classroom, and is a handy tool to help students revise. Many clubs and trainers have seen the benefits of offering the online course as a tool to supplement their existing training – as a handy revision tool for students, or as a way of getting people up-to-speed without the need to attend a traditional chalk-and-talk training session. Courses run once a month, and we have a trainers test area, so that tutors can have a look around and give it a try.